Malcolm's is located at the prestigious LPGA International Clubhouse, Malcolm's is open to the public daily for lunch and dinner. Featuring fresh foods, creatively prepared by our culinary team, Malcolm's offers one of the finest experiences in the area. 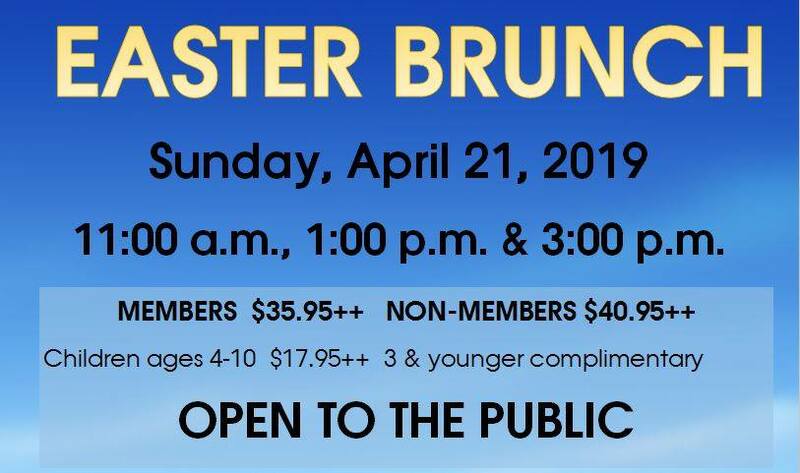 Easter Brunch at LPGA International- OPEN TO THE PUBLIC. Sunday, April 21. Three seatings available: 11am, 1pm & 3pm. $35.95++ Members. $40.95++ to the public. Children ages 4-10 $17.95++ children 3 and younger are complimentary. Reservations are required and can be made by calling 386.523.2088. Easter Brunch will take place in the Crisp Ballroom for larger parties and in Malcolm's Bar & Grill for smaller parties.